It did not take many hours from England were defeated by Coatia in the 2018 World Cup semi-final until there was an ironic ‘consensus’ on social media and across other ‘meme pages’ that – in fact – it would “suit better” if football instead ‘came home’ in 2020, with the final and semi-finals of the European Championship in Men’s football (hereinafter the ‘Euros’) being played at Wembley, London. England, however, is far from the only host country in the upcoming Euros, and shares the status as host country for the tournament with 11 other European countries (and cities) spread across the continent. The men’s football sport mega-events (SMEs) in the 2010s took place in South Africa (2010), Ukraine/Poland (2012), Brazil (2014), France (2016) and Russia (2018), respectively. Euro 2020, therefore, symbolises the first time a SME takes up such a geographical peculiar and mobile format. Further, only days before this year’s World Cup was kicked off, it was announced that the 2026 World Cup will be jointly hosted by Canada, Mexico and USA, which thereby marked another departure from the ‘orthodox’ one (occasionally two) host format. Importantly, this does not mark the ‘end’ of the ‘classical model’ of housing football SMEs. For example, the World Cup in 2022, as we know, will take place in Qatar. Meanwhile, Germany and Turkey placed the only bids for the rights to host the 2024 Euros, indicating a return to the single-host format. However, there has been speculation about a ‘pan-British’ bid for the 2030 World Cup. Time will tell. The ‘Euro for Europe’ and ‘United 2026’ – as the two events were branded as, nevertheless, still demonstrate an interesting trend – or solution – with regards to the housing of SMEs. This shorter piece will now sketch out and reflect upon some ramifications of the evident subscription to such a format. Euro 2020’s opening game will be played in Rome. The tournament’s final games will take place in London. Over one month, the event will, almost literally, ‘travel’ all over the European continent in an ‘interrail-esque’ manner. For this tournament, understandably enough, hosts will not automatically qualify for the finals. As is easy to spot in Figure 1, however, the event is bound to translate into longer distances for travelling supporters between games. As such, the event was criticised for the travelling costs and logistical issues that are imposed on football supporters by the 12-country hosting format. For instance, the chairman of the FA, Greg Clarke, expressed concerns that fans would not be able to afford travelling costs. Stadiums that will be in use in 2026 are yet to be confirmed. Notwithstanding the same problem will undeniably surface and materialize, as the 16 host cities, regardless, will be located (relatively) far away from each other (3 in Canada, 3 in Mexico and 10 in the US). That is not to say travelling costs for supporters have not been high previously, but arguably – with the upcoming SMEs spread across whole continents – a major pitfall connected this format is the financial and logistical issues for travelling supporters that arrives with it. With regards to event management and pre-event organization, however, it has been argued that Euro 2020 represents a more modest event than the ‘typical’ SME, with the event mainly taking place in pre-existing stadia (Chappelet and Parent, 2015:11). The irony here, though, is that Belgium – which was the 13th designated host country – lost the rights to host the event, as the (new) Eurostadium in Brussels would not be completed in time for the event. Aside from that, though, it may be read as a positive development that pre-existing stadiums are employed. Historically, host countries of SMEs have spent astronomical amounts of money on hyper-modern, state-of-art stadiums that, as soon as the circus leaves the town, are not sufficiently maintained or used for the wider benefit(s) of the local communities. This despite the fact that hosts commonly justify the construction of new stadiums by highlighting their alleged, ‘good’ and far-reaching legacies. The 2026 World Cup, which will be the first to have 48 competing teams in it, have as stated, not confirmed its stadiums. Yet, it is believed that already-existing football (soccer) and NFL stadiums will be used. As such, the multiple host format represents less risk vis-à-vis investments into brand new stadiums (and related infrastructural) projects that fail to provide positive ‘legacies’ post-event, but rather are associated with financial debt and abandoned of – or declining stadiums. Finally, with regards to security challenges which all contemporary SMEs must account for in their pre-planning, the two distinctive events give life to a number of issues that are amplified by the geographical stretch of the events. Transnational collaboration between ‘security actors’ that are involved in ‘securing’ the SMEs is now formally required and a normalized aspect of any SME’s ‘security assemblage’ (Whelan, 2014; Ludvigsen, 2018). 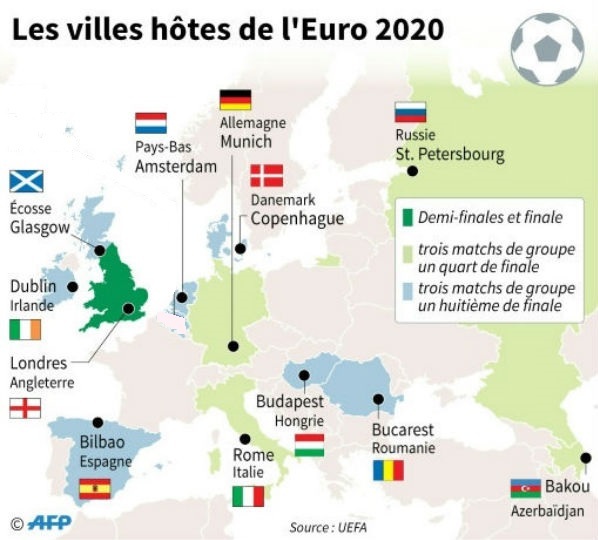 It seems clear, however, that the ‘security’ at Euro 2020 and also the 2026 World cup will generate certain obstacles with regards to stakeholders own interests (which is usual), but also the distinctive cultures (of security) and linguistic barriers – likely to play a part in the planning and organization of security which must meet a required standard set by the organizers. Further, to use a relevant example, what may be ‘effective’ policing of football supporters in one country, may not necessarily have a proven record in another host country of the same event. Whilst, 12 – or three – host countries, naturally means each country (and city) possess a unique risk profile and have exceptionally different levels of security infrastructure and experience of hosting mega-events. As I argue in a forthcoming paper, ‘SME studies’ are entering an interesting phase. The 2018 World Cup has only just been concluded, and the 2019 Women’s World Cup (France) will symbolize the end of football-related SMEs in the 2010s. With that, we enter a new decade with World Cups and Euros being played in very different geographical contexts. First, 12 European Countries (2020), then Qatar (2022) and then ‘United 2026’. The ‘trend’ of awarding SMEs to more than one (or two) nations is evident. Yet, since this is such a new feature, there are many unanswered questions that remain, as two of the world’s largest SMEs will test this out for the first time ever. 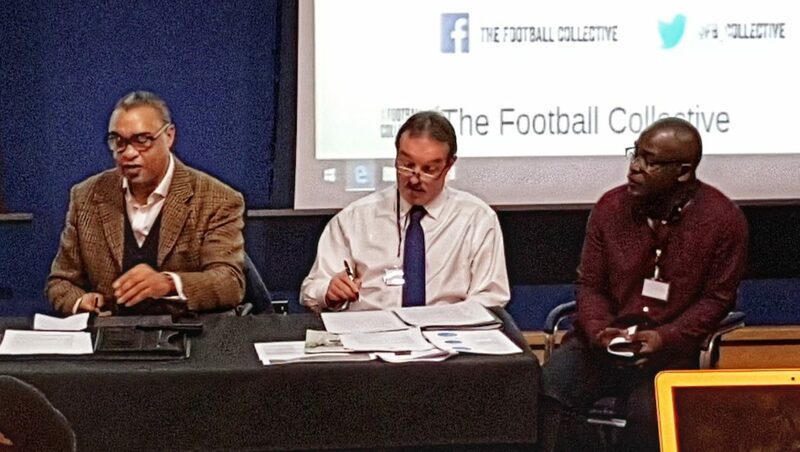 Whilst it is a positive development that they largely seem to take place in pre-existing stadia – the large geographical territories of the events simultaneously means grievances for supporters who will have to pay up. Further, the security-related challenges ahead of the events in 2020 and 2026 are also impacted by the spatially unique events, which undoubtedly – overall – will provide us with interesting, critical debates within political, cultural and social domains with the events approaching in time. BBC. 2016. Euro 2020: England fans may struggle to afford travel – FA’s Greg Clarke [online]. BBC. Available from: http://www.bbc.co.uk/sport/football/37433401. [Accessed 4 June 2018]. Council of Europe (n.d). Working Group EURO 2020 [online]. Council of Europe. Available from: https://www.coe.int/en/web/sport/working-group-euro-2020. [Accessed 30 May 2018]. Accessed 05/2018). The Guardian., 2012. Fans reject Michel Platini’s ‘zany’ plan for continent-wide Euro 2020 [online]. The Guardian. Available from: https://www.theguardian.com/football/2012/dec/07/fans-reject-michel-platini-euro-2020. [Accessed 2 June 2018]. Parent, M.M. and Chappelet, J.L., 2015. Routledge Handbook of Sports Event Management. London: Routledge. Whelan, C., 2014. Surveillance, Security and Sports Mega Events: Toward a Research Agenda on the Organisation of Security Networks. Surveillance & Society 11 (4), 392-404. Jan Andre Lee Ludvigsen is a PhD Candidate at Liverpool John Moores University. His research focuses on sport mega-events, security and football fandom.